Very interesting results! I haven’t seen Forrest Gump in years, but I am a little surprised to see it win since it seems to have a bit of a bad rep these days. It has probably been, oh, 15 years or so since I last saw it, so I’m more than due for a rewatch. Nice to see so many other films receive votes as well, including all entries in the Toy Story trilogy. This Week’s Poll: This is our biggest poll yet, one that encompasses over 30 years of entertainment. For the first time ever, I am asking you to PICK FOUR: Who is your favorite SNL alumni? I tried my best to include most of the major names from the show’s eclectic cast, but if I happened to miss one or two big names, please let me know. A full list can be found at Wikipedia. Aykroyd, Belushi, Chase, Murray. Fairly easy. Carvey was a consideration, but more because he was funnier on SNL (and I think of the Wayne’s World alumni, he’s the more talented of the two overall.) I’d consider Murphy, but he’s systematically destroyed any good will the 80s built up for him at the box office. 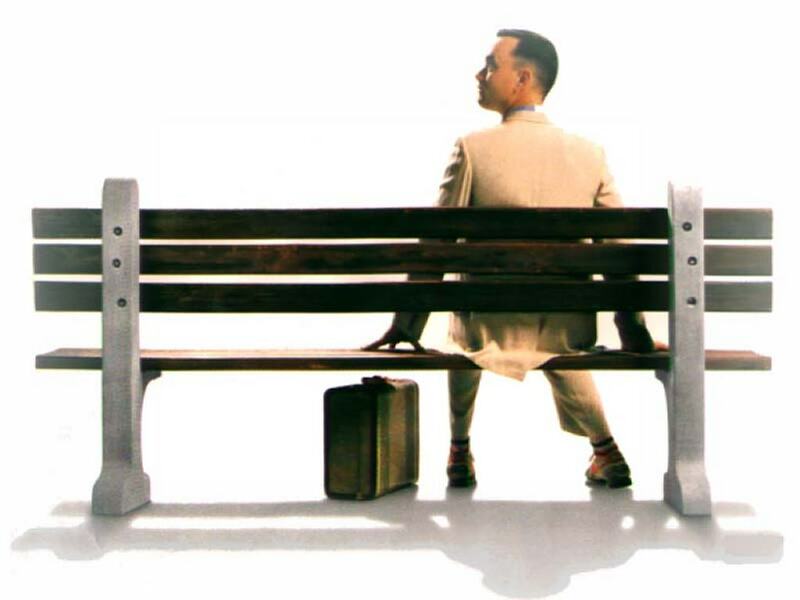 As for Forrest Gump getting a bad rap, I think that’s mainly Oscar backlash. It’s not so much that most people think it’s a bad film (at least, not if they’re being honest instead of just hating it for hate’s sake), it’s that they question whether it should have gotten Best Picture. The vitriol is often strongest from Pulp Fiction‘s boosters, which is funny because it’s perhaps only the third-best non-Gump nominee. You know, I watched Beverly Hills Cop for the first time last month, and it was really entertaining. It’s sad that Murphy has fallen so hard since his heyday. I think you’re right about Forrest Gump. 1994 was a stacked year, and there was bound to be bickering regardless of what film was chosen for Best Picture. You should definitely see Eddie Murphy Raw. He was hilarious. Absolutely freaking hilarious. So far from where he is now. Forrest Gump is a worthy winner of the poll. He makes that character his own. To me it’s the performance where Hanks becomes a totally different person, where I forget its Tom Hanks. His acting in Captain Phillips is good too(avoid the trailer full of spoilers), but I would be surprised if he nabbed the oscar for that. I still need to see Captain Phillips, but yeah, Forrest Gump does seem to be one of Hanks’ defining moments. I really should give it another watch since it has been so long. I like Bill Hader, too. He has been one of the show’s bright spots in the last decade or so. I’m surprised to see Forrest Gump winning as well. Not a fan, for me it’s far too melodramatic plus I hold a grudge against it for beating out Pulp Fiction for the Oscar. As for SNL alums, had to go with Bill Murray first, followed by John Belushi, Amy Poehler, and Dan Aykroyd. That’s a great batch of alums right there. Murray seems to be the odds-on favorite so far. Not surprised Forrest Gump won the poll, though I wish more people voted for Road to Perdition. I know what you mean about the SNL alums, Ruth. I forgot all about Julia Louis-Dreyfus being on there — apparently RDJ was on the show for one season as well! Gump is a deserving winner. It’s one of those universal favorites that I have to watch whenever I see it on, although, it’s on so much that it does kind of suffer from that Freebird syndrome where no matter how good/great something is, by the 1000th time you’ve seen it, you’re ready to blow up the master tape. No love for Cloud Atlas I see. Too strange for most people I suppose. I also thought Cast Away would fare better than just three votes, but Private Ryan and FG are two heavy hitters in the Hanks catalog. And yikes, that is a huge list, and an insanely hard decision. It depends on the criteria honestly, like if it is based on their whole career, including post SNL, then I’m voting for Bill Murray, but if you mean who was the best cast member on the show, I think I’m tempted to go Norm McDonald. It will be a tough vote. Heh, yeah it is a bit of a broad question. I made sure to allow for four votes this time since there are so many great candidates. Cloud Atlas is a tough call. I enjoyed it for the most part, but there are just too many genuinely great films in Hanks’ catalog that I would put above it. He was quite good in it, though. No surprise that Forrest Gump and Saving Private Ryan are at the top. They truly are his best! I would put the Toy Story films and Road to Perdition higher though. I also loved Catch Me if You Can. Shame it didn’t make the cut.